Whilst watching an episode of Grand Designs, the customer was inspired to think about building a new house herself. Living in a large Edwardian house on her own it seemed to make sense to build a smaller and more suitable property for both her current and future needs. In addition to this, the appeal of building a more energy efficient home requiring lower maintenance, than her existing single brick and thin leaded light windows house was very strong. 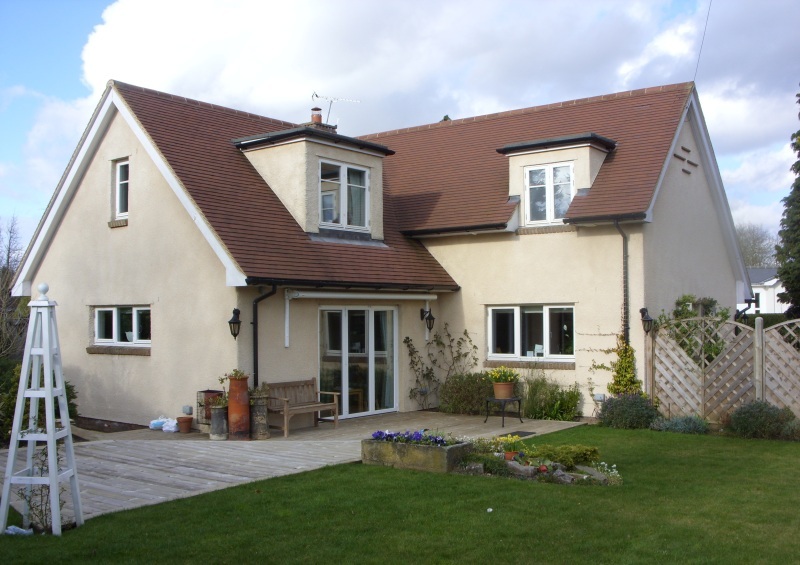 Luckily for the customer she did not have to look far for a plot of land, as her existing house was located on a large corner plot in a village which had been her home for many years. As part of her research into the self build process, the customer visited the Scandia-Hus stand at the Grand Designs Show in London. A combination of factors led the customer to choose Scandia including the ability to select the type of cladding for the exterior from a variety of options, as well as the company handling all the planning and organisational matters on her behalf. 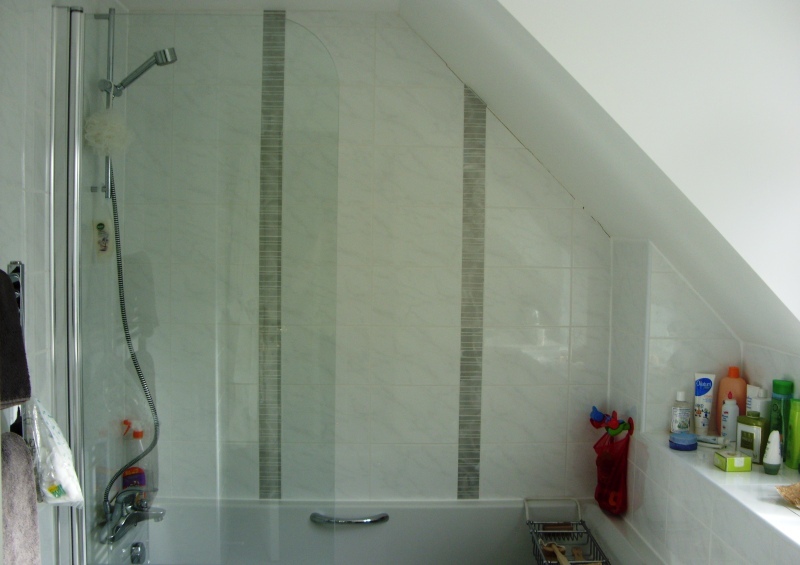 The customer had clearly defined ideas of what she wanted from her new home. With input from her son (a professional designer), the customer decided to go for a traditionally inspired exterior with a nod to the Edwardian era that would allow the property to blend in with its surroundings combined with an interior that was suited to modern living. She was delighted with the suggestion from Scandia-Hus Project Manager Darren Shaw to include a double height vaulted entrance into the new home, which gives this area a real sense of space. Other touches which have made a lasting impression are two extensions to interior walls. 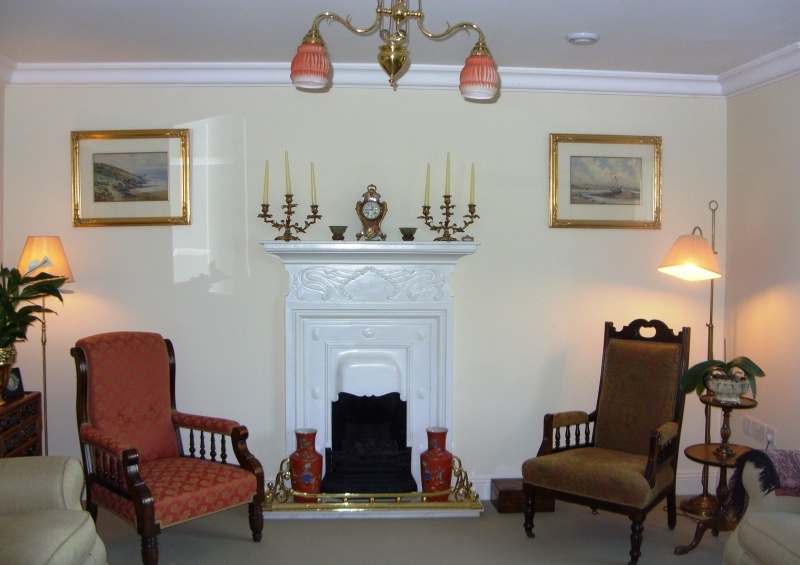 One allows an important piece of furniture to fit into the new property. The second cleverly incorporates a bookcase and screens sight of the kitchen from the front door, thus removing the need for an internal door. In terms of planning, the first application for the new dwelling was turned down as the footprint was considered too big for the site. Not to be deterred Scandia and the customer revisited the plans. With the second planning application the customer attended the planning meeting and eloquently put forward a strong case for allowing this development to go ahead, emphasizing the improvement it would bring to the area and tackling the original objections. In terms of the length of time, planning approval took about a year to achieve. 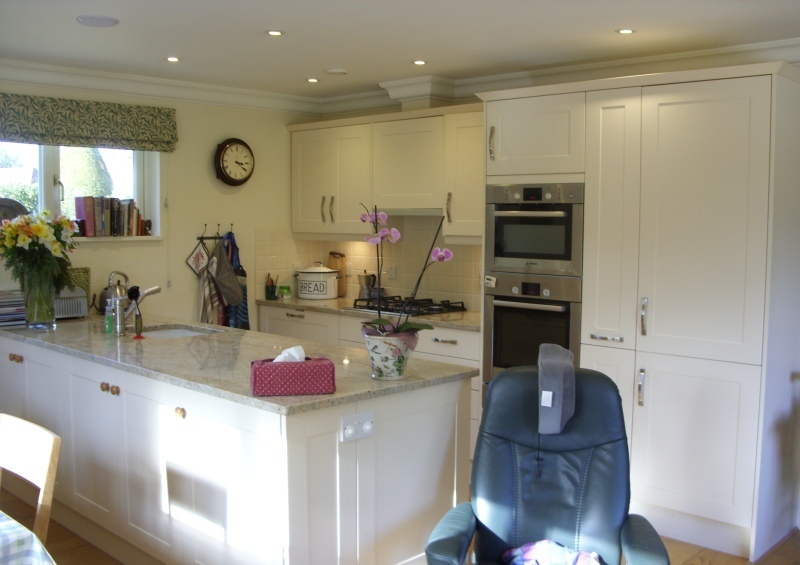 The customer decided that she wanted to employ the services of a builder for the construction of her new home. 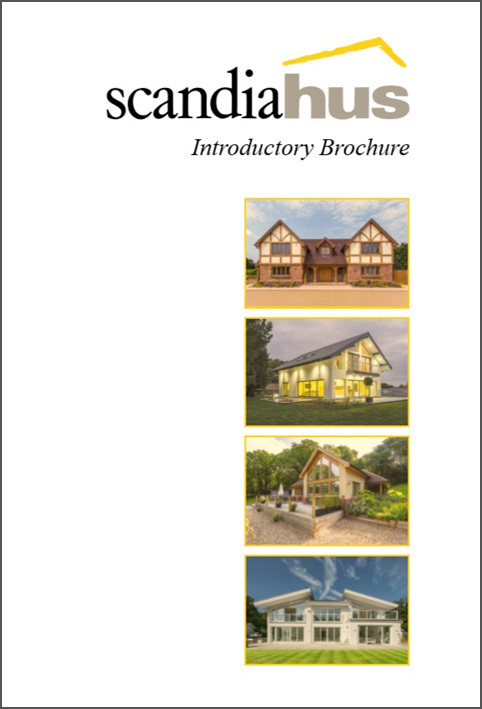 Subsequently Scandia put her in touch with Sundial Developments UK Ltd and after meeting with them, visiting a project they were working on and speaking to the owner of that house she was so impressed that she employed their services. The responsibility for the build was then handed over to them, throughout the process the customer felt well informed and included by Sundial. From visiting Scandia at the exhibition 18 months earlier, construction began and approximately 6 months later the new house was finished. During that time the customer did encounter a couple of issues which were overcome, such as getting the address confirmed for the new property so that services could be added and taking out insurance against an existing covenant. The customer is delighted with her new home, her favourite parts of which are the open plan kitchen/living room and the fact that the garden is on the same level as the ground floor which is ideal for her visiting grandchildren and herself. Following the completion of her new home the customer has recommended both the builder and Scandia to a number of people, as she has been delighted by the quality of the kit and workmanship.